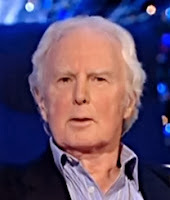 Brian Sewell is an English art critic, media personality and writer. He has been talking about dogs and their sixth sense, something that most dog lovers will no doubt have experienced for themselves. This is what he has to say. 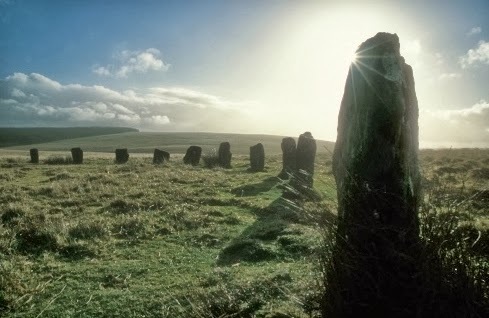 "When Susie was a year old I took her to Dartmoor where, at a ring of standing stones known as Grey Wethers, she sensed some presence that disturbed her - perhaps a ghost. I could see no reason for Susie's hackles, her sudden flight and her refusal to slow down as, shouting, I ran after her. She stopped only when she blundered into a bog. Nine years later, in 1972, we moved into a new house in Kensington and she again sensed something, on the stairs to the kitchen. Unable to run, she simply lowered her haunches, trembled and howled. I too sensed something disagreeable - a chill and a stench through which I could pass in a stride, of much the same height and volume as a human being. One evening, encountering it on the stairs, I sat and talked to it. I said I had no way of remedying its misery. I wanted only that the house should be a happy place for me and my dogs. By coincidence no doubt, the column of cold and mortal stink disappeared, and never again was Susie so disquieted. I have seen other instances of dogs seeming to have a sixth sense. I'm sure my dogs have had an understanding of illness in human beings. Hecate, my blue whippet, was responsible for a small miracle when an old friend named Margaret, struck dumb and paralysed by a stroke, languished in hospital. The Sister in the hospital said, "It's only a matter of time." On my next visit I smuggled Hecate in under my overcoat, pretending to have a broken arm. Margaret's eyes widened, there was the faint hunt of a smile, and for the first time since the stroke, she reached out, to touch the little dog - Hecate, usually a wild wriggler, settled next to her. We managed this a second day before being discovered by the Sister. But it mattered not, for we had brought about the miraculous first signs of Margaret's recovery." Great story. He should read Rupert Sheldrake's books about dogs and telepathy! Thanks Trish. From my days of having dogs in the family I've always felt they were telepathic. i liked the way he spoke to the ghost in his kensington house. my father did the same thing when my 8 year old son twice said he had seen a ghost in my father's house - a man dressed in a very old fashioned colonial army uniform. We had our suspicions as to who it was - but in any case the boy never saw it again. Interesting - it does seem that sometimes ghosts/spirits will go away if asked to do so. Who lives? Who Dies? Who Or What decides?